Shirley Jackson’s The Haunting of Hill House is one of my favorite books. Period. Having reread it back in September (for the third or fourth time), it still chilled me and I still found interesting bits to chew on. That’s probably why I gave Hangsaman over 200 pages before I gave up on it. 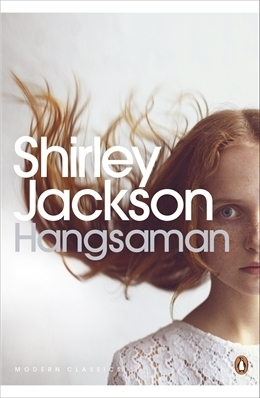 Hangsaman was Jackson’s second novel, published eight years before Hill House. Both novels deal with paranoia concerning being a group outsider. Both novels are about the place that a young woman is expected to take in society versus her suitability for that role. Many of Jackson’s works deal with these issues and are probably reflective of her own personal concerns. * The difference is in Hill House Jackson uses the trope of the haunted house as a framework for investigating these issues. No such framework exists in Hangsaman. We are left adrift in the mind of Natalie Waite and it’s hard to find *that* to be a compelling story. Jackson does one better in her next and last novel We Have Always Lived in the Castle. It’s pretty much a full-on modern Gothic. To me, Hangsaman feels like an early foray into dealing with these issues of identity. I’ve lately read a few comments about this book along the lines of “lots going on/hard to unpack/I think I’m missing something” and I think that’s because there is no roadmap for experiencing Hangsaman. Some readers might like that; I like it better when form can help clarify the message. * The missing student is revisited in several of her short stories as well. Personally, I can understand Jackson’s fascination with that story. As a woman, wouldn’t it be nice to leave all expectations behind? But without society’s expectations, do women simply disappear? Review: I could not get through this story, despite its intriguing title. Maybe it was because I was reading it during my 17th straight hour of readathon-ing yesterday. Maybe it’s because I have trouble with allegories, which, with character names like Cant, Shant, and Musnt, this probably is. Or maybe I’ve been reading an anthology of speculative fiction stories that are so deftly written that this story felt very clumsy in comparison. If you’re going to allude to Poe and spend time describing architecture, man, you need to be lush in your language. This fell short. About the Author: Greg Bear is an SF writer that I’ve been aware of for years, but have never read. This book was provided to me by Random House Publishing Group via NetGalley in exchange for an honest review. I did not finish this book, stopping at about the 33% mark. Reading that blurb, I am led to believe that I’m going to go along with Charlotte as she unravels the mystery of her brother’s disappearance. In the first 20% of this book, we grow up with Charlotte and James. They’re good kids, though a little strange due to growing up in seclusion in rural England. Shy James goes away to school, while Charlotte stays to take care of things. Upon graduating, James, now a young man, sets up in London. He even falls in love. Honestly, I wouldn’t have minded spending a whole novel living with James in happy domesticity in London. Frankly, the set up is perfect. I care about James. I care about Charlotte. Then, The Quick utterly changes tone. Don’t get me wrong, I have no problem with doing bad things to good characters. We expect something untoward to happen to James. It’s there in the blurb. What I expect next is that smart, but unsavvy, Charlotte is going to solve the mystery while being in a lot of danger. I’m led to believe that my entrance into this mystery is Charlotte. We’re going to go together and uncover clues. I know a few mysterious things that Charlotte doesn’t but she’ll catch up. But, the flow of information is way off in this novel. Owen tells us what’s going on in London. Further, we have to endure a 25 year history of what has occurred. I don’t have a problem with what the novel’s “twist” is. What I don’t understand is why I’m being told this, rather blandly, instead of finding it out within the tension of the mystery I’m expecting. I really enjoyed the first ~20% of this book. I read that in one sitting. And then spent the next five days grinding through the next ~10%. Why did I choose to read this book? Combination of cover and blurb made it sound interesting. This book was provided to me by the Penguin Group via their First to Read program in exchange for an honest review. Note: I did not finish this book. At about the 1/3 mark, I had met every single denizen of the town of Glorious, but didn’t feel invested in any of them, including Cash McLendon. The characters and situation were all rather bland. I felt like the world was being explained to me rather than shown to me with none of the grit, grime, and tension I’ve come to expect in the genre. Plot-wise, more needed to happen sooner. McLendon’s background could have remained a mystery in favor of furthering action. Maybe I’ve been spoiled by the likes of Elmore Leonard, but I expect a measure of immediacy in a western. Why did I choose to read this book? 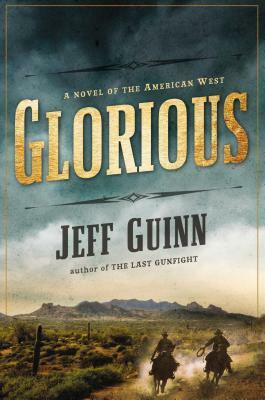 Haven’t read a good western in a while. This book was provided to me by Norilana Books via NetGalley in exchange for an honest review. 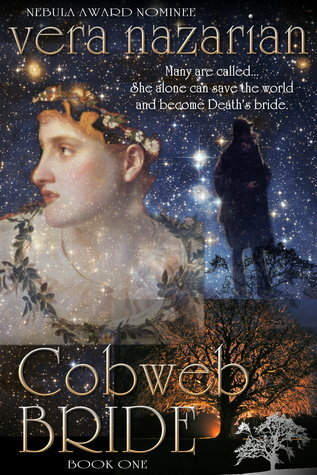 Cobweb Bride is a history-flavored fantasy novel with romantic elements of the Persephone myth, about Death’s ultimatum to the world. I will recuse myself. I did not finish this book. I quit reading at the 40% mark. I really wanted to like this book. The conceit is an interesting one: Death wishes to take a bride and until she is found, no one will die. The injured in battle do not die. The sick do not die. Butchered livestock do not die. It’s potentially a horrific set-up and excellent fodder for a fairy tale. Unfortunately, the story falls into a sort of no-man’s land between fable and historical fantasy. Nazarian’s weakness to me seemed to be in trying to give the story real-world scope. The juxtaposition of real places and people with fictional kingdoms is jarring and, at least within the context of the first 40% of the book, not needed. I don’t need references to France and Spain and Louis XIV to feel the peril of the situation. The real world doesn’t need to be in danger for me to care about characters. Peter S. Beagle never mentions what world The Last Unicorn takes place in; the sea that Hagsgate is next to is never named (that I remember). The thing that stopped me reading, though, was that the non-supernatural working of the world struck me as wildly unbelievable. The political machinations varied between high school gossip and soap-opera melodrama. If you’re writing fantasy and you’re including politics, you have to get the politics right. Or at least close to right. It’s an aspect that isn’t based on magic or the supernatural, but on behavior and practicality. There are, for example, many good reasons why a nobleman, even a minor one, would not be chosen as a deep-cover spy. They are not the reasons illustrated in the story. I was disappointed that this book was bogged down in poor world-building instead of allowed to be a potentially excellent story. Why did I choose to read this book? The set-up seemed interesting. Did I finish this book? (If not, why?) No. You have to get non-supernatural world-building semi close to correct. This book was provided to me by Pegasus Classics via NetGalley in exchange for an honest review. I did not finish this book. At 30%, I had not found much of anything lurking in the pages. I also have not read Pirie’s first two Arthur Conan Doyle books. I have watched Murder Rooms, the series created by David Pirie based somewhat on the novels. Murder Rooms is a good show, fairly well-paced and full of nods to the real Arthur Conan Doyle’s history and fictional works. The show offers many nice parallels to a Sherlock Holmes story. I was expecting the same of this novel. The Dark Water starts after what was, presumably, the cliffhanger ending of the previous book. Doyle wakes after being poisoned, locked in cottage, his tormenter the man who murdered his lady-love Elsbeth. Doyle’s escape should be fraught with tension. Instead, he just, kind of, does. He meets up with his mentor Dr. Bell and then another 20% of book goes by with not much happening. The Doyle character isn’t a particularly interesting narrator. Honestly, he’s a bit dull. Watson is a dull narrator too, but he’s not narrating his own stories. Although he’s our first-person narrator, Watson gives the foreground to Holmes. Dr. Bell isn’t the dynamic figure that Holmes is and this isn’t Bell’s story. If a first person POV is used, shouldn’t that character either have the most unique voice in the story, or get out of the way? 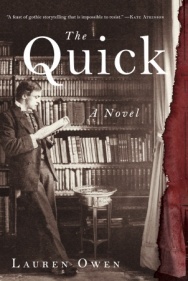 It could be that this a good book, and it takes a while to get going. I picked it up and put it down several times before I got to 30%, but it never caught on with me. Did I finish this book? (If not, why?) No. It’s amount of tension never varied. Doyle’s wasn’t an interesting voice. To help those who are taking part in the month long Take Control of Your TBR Pile Challenge (you can still sign up) and anyone else who wants to catch up on some of those reads collecting dust. Anyone can join in! The only requirement is that the books read must have been published before March 2013. Each day there will be fun challenges and prizes to help motivate you. On twitter use hashtag #TakeControlRAT to share your progress follow others, and look for challenge updates. Here is the schedule post with links to daily challenges and our host’s goals. I had too many ARCs in the queue to participate in a month-long clear-up of the TBR pile, but a weekend readathon is just right. When I first wrote up my goal last Friday, I put down 350 pages. Later in the day, I said to myself, “But Katherine, remember the last couple of readathons? You were barely getting 400 pages in a week!” And I down-graded to 300 pages. I totally blew away my 300 page goal. More importantly, I wanted to finish two translated works from off my bookshelf. Mission accomplished! Both were pretty short, but they’re a little bit of progress toward a couple challenges. So, happy day! 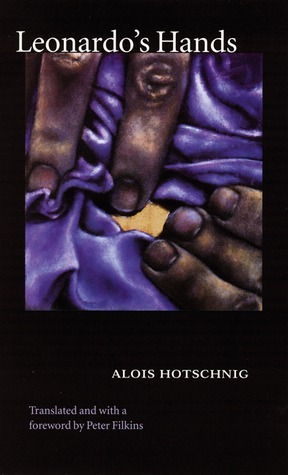 Leonardo’s Hands by Alois Hotschnig did not work out for me. I just don’t have the patience for this kind of literary writing any more. (If I ever had the patience for this sort of thing.) The point of view continually shifted between first, second, and third person. Dialogue may or may not be spoken dialogue. If I hadn’t read the back cover, I wouldn’t have any idea what’s going on. Leonardo’s Hands might be a fine and rewarding book, but it’s the sort of thing that walks the line between mess and literary stunt. Maybe this weekend is going to be about TBR non-fiction. While I was cleaning one of my bookshelves last night I came upon Hitchhiking by Gabriele Eckart. That will take the place of Leonardo’s Hands. Day filled with creaky joints and migraine auras. Read. 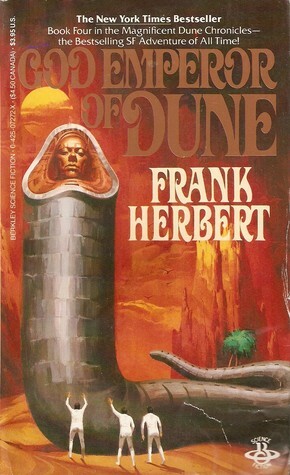 Looked at many, many book covers for the challenges. Finished Hitchhiking. 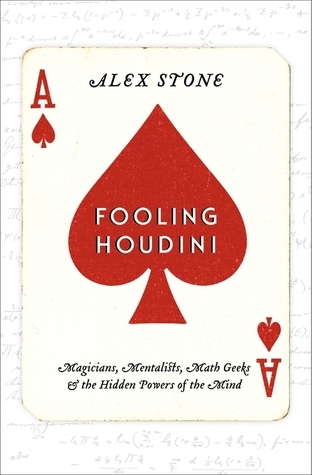 Switched to a on-line on-screen library book, Fooling Houdini: Magicians, Mentalists, Math Geeks, and the Hidden Powers of the Mind by Alex Stone. Head. Ache. I solider on. (Actually, earache. I get them. They’re annoying.) Cried uncle in relation to the cover challenges. Amused husband for a while in the evening. Go through your TBR pile and find the oldest book you haven’t read. Tell us why you bought it. Why you haven’t read it. Tells us what you think or give a summary. This is a tough question. I’ve been buying books for 20 years. I don’t always read what I buy. What is the oldest book I own that I haven’t read? Probably Maxim Gorky’s Foma Gordeyev, published in 1901. I had a thing for a Russian guy in college. What book have I owned the longest without reading? The Gorky probably comes close even though I didn’t meet Dima until my junior year. It wasn’t until the internet that I started keeping close track of when I acquire books, but I might have something that I bought in high school laying around here. Why don’t I read books before acquiring more books? I’m a magpie. I’m always attracted by the newest shiny thing. Did a few chores, read the synopsis for my husband’s book, and went out to dinner. On the reading side of things, the middle essays of Misreadings are dragging… But I finished it! Both are pretty short. I’m also done with my primary source reading for my novel research and I need to move on to Jim Steinmeyer’s Hiding the Elephant. I’m going to shoot for 300 pages.